A child’s christening is not just a proud and happy moment for the parents but also for the Christian community. It celebrates the life that is given to a human body — an angel of pure innocence that gives joy to those that surround them. As a parent, there’s no greater blessing than to have a new baby into your family. As you gaze through their soulful eyes, you experience pure bliss and extreme gratitude that your child is born into this world. And, if you are a Christian, the one thing that your child will traditionally go through is to be christened. A christening is when a baby is given a Christian name at a baptism as a sign that the baby is admitted to the Christian church. In a christening, you are to ask some of your family and friends to be the godparents of your child so they could help you raise your child into the best person he/she can be. After the christening at the church, a reception usually follows where your family and closest friends are invited. With that said, you need to have an invitation to inform everyone on the guest list about the upcoming christening of your child. 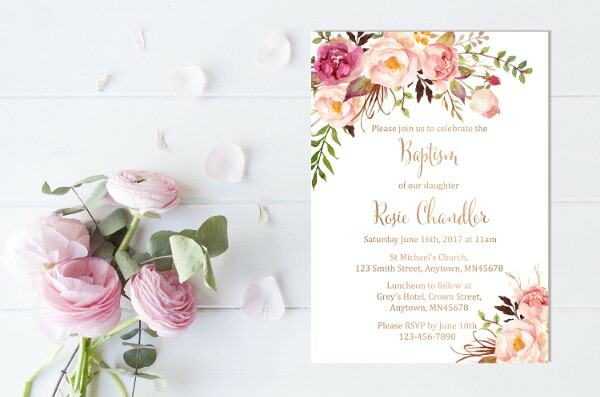 If you still have no idea about what to have the design of the invitation, you can check out the array of christening invitation templates that we have prepared below. 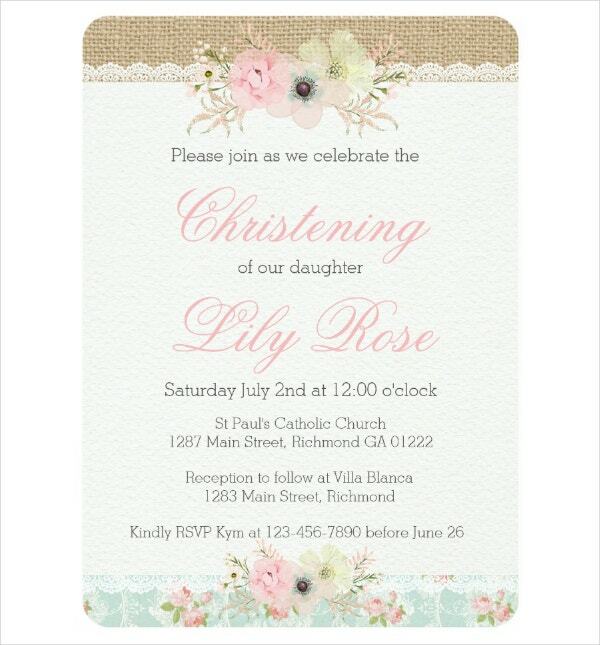 Why should you make a christening invitation card? As the extremely proud and happy parents, you would only want the best for your baby especially during the christening. A christening requires a lot of things to prepare for and the invitation is one of them. Although people think that there are other conventional ways that they could do to disseminate the information about the christening, giving out an invitation is still the best out there. 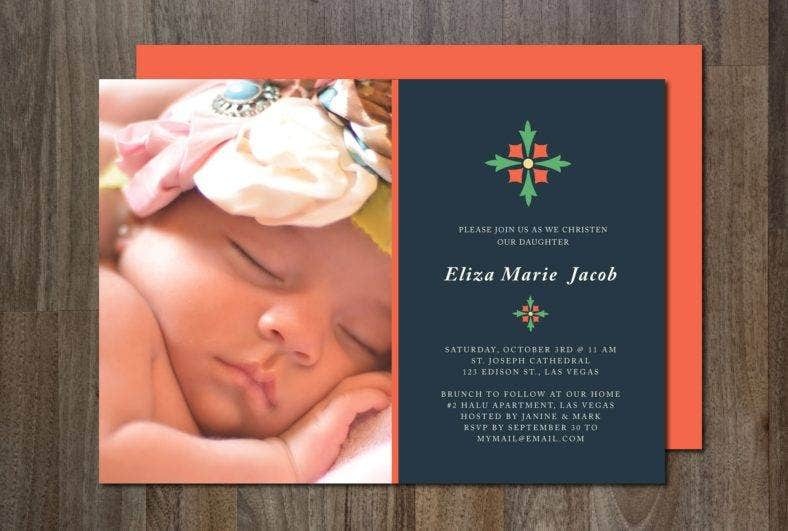 We have listed a few reasons on why making a christening invitation card should also be prioritized. 1. They make the guests feel valued. Ever since the emergence of social media, people have been slowly using it as their primary platform for communication. Now that social media sites and applications have exponentially improved, more people are being drawn to them. Although it is indeed convenient to use social media for information dissemination, it still wouldn’t catch up to how the invitations make the recipients feel. Invitations are either handmade or digital. But regardless of whatever form it takes, it is important to know that these cards are personally designed. In contrast to the invitations sent through social media, invitations are personalized and made with care and kind thoughts. If you put yourself in the shoes of the recipient, being handed with an invitation makes you feel that you are special to the hosts. 2. They are informative. The information needed for the invitation is the name of the baby, your names as the parents, the venue, the time and date, and the dress code if you require your guests to wear something specific for the event. It is better for the guests to come to the event informed about everything that is needed to know for the occasion than to come clueless and empty-handed. You also do not want to blindside them in case they need to bring or wear something specific. 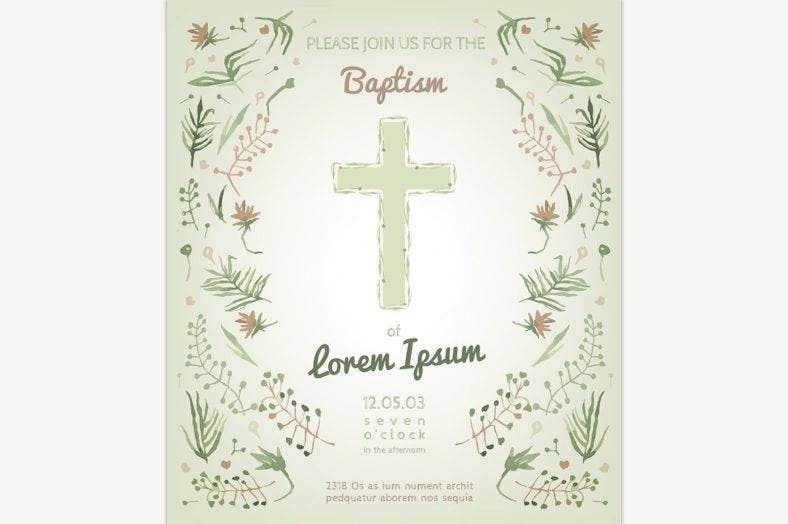 You may also see sample baptism invitation templates. 3. They set the tone for the event. When the guests receive the invitation, they will instantly know that the event will be about once they look at the design of the invitation. Depending on what the event is for, the elements of the design should be able to portray the specific image that the invitation is all about. 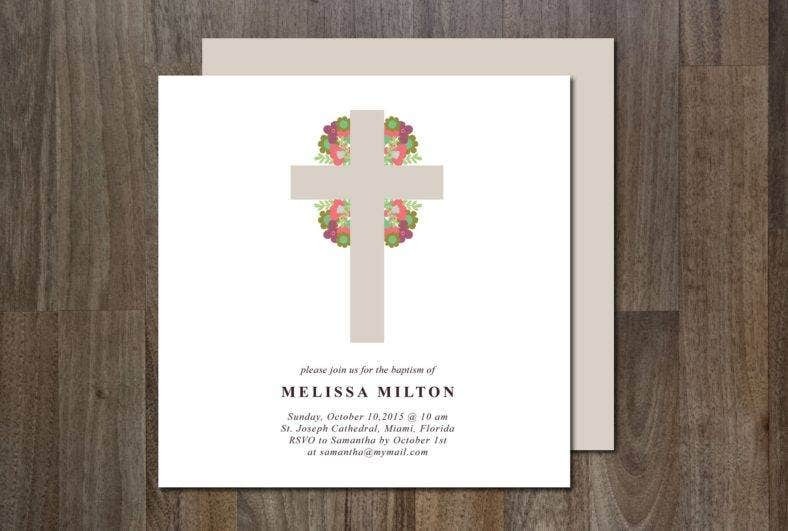 For example, if you want to throw a party for your child’s christening, the design for your invitation card should reflect the emotion of the occasion. Put in all ornamental designs relating to babies like cute little baby bottles and pacifiers. 4. You get to let out your creative side. Knowing that the invitations help in setting up the tone for the event, you have to give it all out in designing them. Let out your creativity and let your inner Van Gogh take over. Don’t skimp out on the details of the design but don’t put too much either. Put in the necessary elements and the right amount of art in it. Whether you design it to be handmade or in digital format, you should take time in designing the card and make sure it appropriately represents the event that you are setting up. 5. They create anticipation. When the guests receive your sample invitation, it makes them anticipate for the event. They will slowly prepare for their outfits or the gifts for the new angel of the family. They will get excited to not only attend the event but also to see you and your baby, especially those who have not yet seen your little bundle of joy. 6. They are memorable. The invitations don’t only act as the carrier of the message but it can also be kept as a memorabilia for the christening. Being part of this wonderful occasion is something worthy to be remembered. And, to help you look back to those memories, you can keep the invitation and look at it if you ever feel the need to. 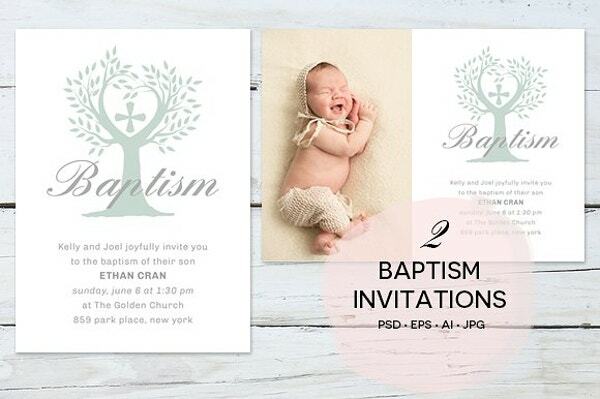 You may also see christening baptism invitation templates. There are different formats for the christening photo invitation, so there are also different ways on how you can customize them. Most of the templates that we have listed in this article are in digital format and some of them are handmade and need to be shipped. 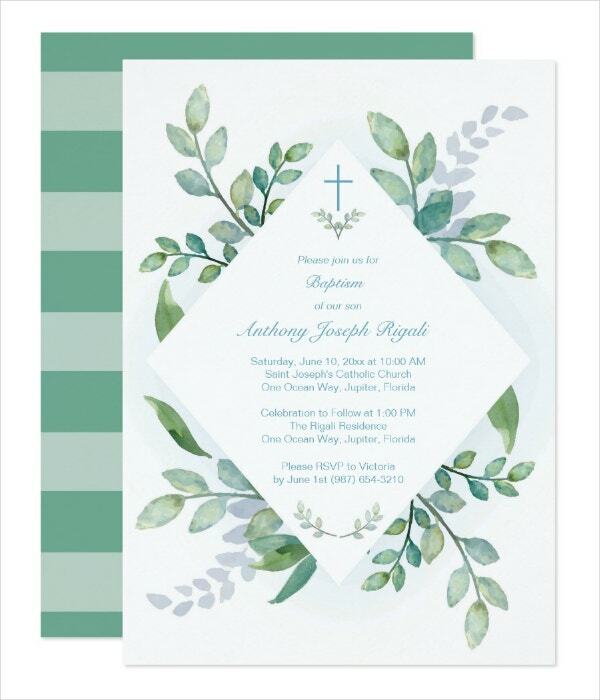 Read on to know more about how you can customize the christening invitation. 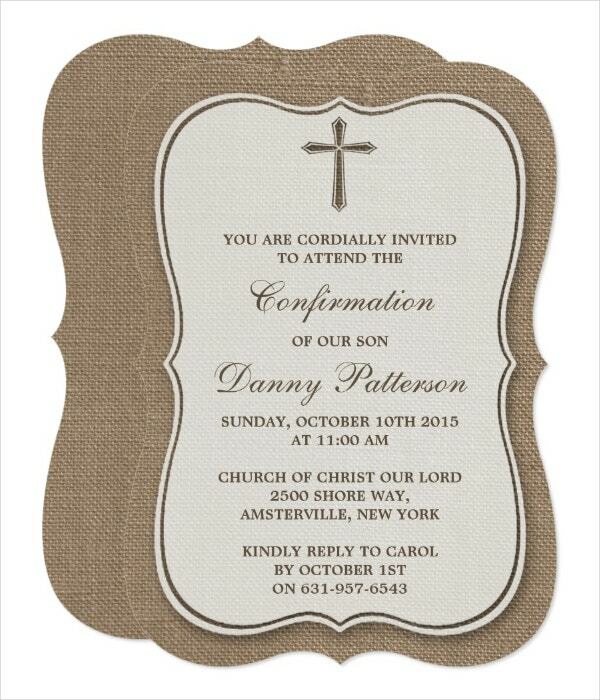 Since handmade invitations are created by the seller, the customizations are also likely done by them. In order for the invitations to be customized, you can send them the specifications on the details on the changes that you want to be done. In most cases, the sellers will not ask for any additional fee for the customization. But, just make sure to increase your budget a bit in case there will be extra fees. Always keep in mind to constantly communicate with the seller or the one in charge for the customization to know about the progress of the changes and if they are applied as for how you wanted them to. Usually, editing a graphics file requires the assistance of a graphic designer. But in recent times, more people are introduced in photo editing and are now being widely used. There are photo editing programs that are easy to use so that even the average users will be able to edit their photos with ease. But, if you are still learning how to edit the templates, we will provide you with easy steps to follow. Download a photo editing program or access one online. You need to download installers online or by an installer from a verified seller. When you download online, make sure to verify if the website is a legit provider of the installer. More often than not, the files that you are going to download is a hive of viruses. So, make sure you only get the source file from verified websites. 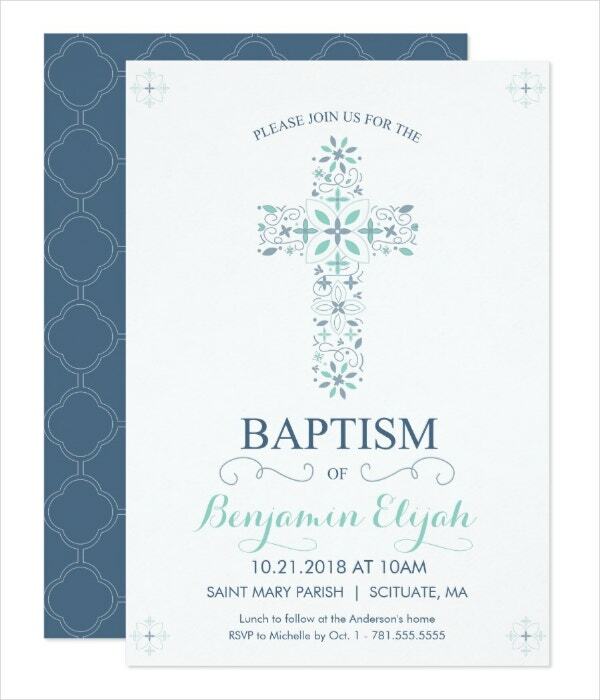 You may also see baptism invitations. Download your desired template. Go through each of the templates so you would know which design will suit your taste. You may also see baptism invitation cards. Use the photo editing software to open the template. After downloading a photo editing software or finding an online app, try to open the newly downloaded template. You don’t have to worry about the compatibility of the files as their formats are highly compatible with most of the commonly used photo editing apps, even those online. You may also see christening thank you cards. Edit the template. Once you tested opening the template, it’s time to have fun! Let your inner artist lose when you customize the template. Think outside the box? No. Think that there is no box. There is no limit as to how you can customize the template. Change any element you want. Just make sure that the end result is what you actually want. You may also see photo party invitations. Save it! This is the most important step of all as you need to export a file from what you just edited. Save everything that you have made. It is also important to note that you save your progress periodically. This will help you in times when your computer or the photo-editing app unexpectedly crashes down. In saving the design, you also have the option to overwrite the original file or export a separate file that contains all the changes you made. Doing so allows for future edits of the original design and create multiple designs from it. You may also see mickey mouse invitation templates. 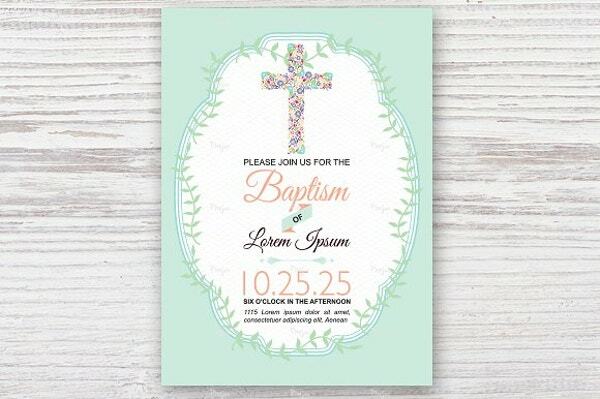 Have you found the perfect christening invitation template? Choosing a christening invitation template can be as hard as choosing which outfit to wear for the day. If you have a theme for the celebration, you can choose the template that will match it. Or, if you can’t find one, you can select the template that has a design that’s closest to the theme and customize it to your liking. We hope we have helped you in choosing the template for your christening invitation and we wish you all the best in your baby’s christening. Congratulations! You may also see sample kids invitation templates.